Partly cloudy early followed by cloudy skies overnight. Slight chance of a rain shower. Low 42F. Winds light and variable.. Partly cloudy early followed by cloudy skies overnight. Slight chance of a rain shower. Low 42F. Winds light and variable. When the ground starts to soften and the sap runs freely, Vermont’s sugar houses come alive with glowing yellow windows and maple-scented steam billowing out over the road as that sap is boiled down into our favorite springtime treat, maple syrup. In the twilight hours of a March day, orange embers fly out of the stack and dance across the evening sky. These sugar houses, which sat idle for much of the year, become gathering spots where neighbors and friends stop in to help and catch up, and in doing so, become an important part of our communities. On the fringes of downtown Montpelier, in a neighborhood near Hubbard Park, 14-year-old Danny Burns is creating another kind of community around maple syrup. Two neighbors, in addition to his own household, collect about 10 buckets of maple sap each from trees on their own city lots, and then bring the sap to Danny’s house to boil on the weekends throughout the spring. Danny boils the sap with a backyard boiler, an off-the-shelf product called the Sapling that is produced by Montpelier-based manufacturer, Vermont Evaporator Company. The boiler consists of a barrel to hold a wood fire, chimney stack for the smoke, and an evaporating pan that sits over the fire. It’s a simple system that doesn’t require any building cover. In the past, the neighbors used a propane-fueled grill burner propped up on cinder blocks to boil down their maple syrup, which they split evenly three ways. But that was inefficient and they were going through several 80-gallon tanks of propane each year. “My Mom saw the Sapling on Front Porch Forum, and we decided to go for it,” said Danny of her decision to invest in a more sophisticated boiling system. Compared to the gas system of years past, the Sapling provides better heat that is more evenly distributed and results in a more efficient process, and now they can use leftover firewood from the winter heating season to fuel the wood-fired Sapling. “It’s a really good, efficient setup. It’s a really big improvement,” said Danny. The Sapling was the creation of Montpelier couple Kate and Justin McCabe. When they moved to a 10-acre lot at the edge of town that was filled with maple trees, they decided to try their hand at making their own maple syrup. “We started on our own grill, but we were spending too much money on propane,” said Kate of their original boiling setup. Justin looked online for a product the couple could purchase to boil their own sap, but found nothing, so he made his own simple system in the garage. He made a few extra and sold them to cover the cost of building their own, but when the couple made money on the deal, they realized they had struck business gold. “It’s affordable, easy to use, portable, and multifunctional,” Kate said of the Sapling, while sitting in her office within their manufacturing space in a refurbished granite shed on Pioneer Street in Montpelier. The Sapling is about $800 (although it’s sold out for this year, customers can pre-buy now for next year), which is about half of the cost of setting up a hobby sugar house with products off the shelf, and has no moving pieces. “The only moving piece is a pour-off valve, which switches from off to on,” Kate said with a laugh. The instructions for set-up, use, and maintenance are simple, and at 75 pounds including the stack and tray (which also come off) the system can easily be moved by 1 or 2 people. And the multifunctional part? “It comes standard with grill grates, so you’ve got a wood-fired summer party grill, too,” said Kate. They’re even working on a smoker package and a pizza oven model for next summer. The couple doesn’t intend to quit their day jobs, but this side business offered just the type of adventure they were looking to add to their lives. Already, they’ve sold systems all around the country, including to customers throughout New England, New York, Ohio, Pennsylvania, Maryland, New Jersey, Virginia, West Virginia, Kentucky, Missouri, Illinois, Indiana, Michigan and Wisconsin. With early success, they are now raising capital to grow their start-up business through an equity-based crowd-funding company called Milk Money. An L3C (low profit limited liability company), Milk Money connects Vermont entrepreneurs with local investors using an online platform that has already raised $50,000 for Vermont businesses. “We are positioned to serve a need not currently being provided for in the marketplace, which offers only large, single-use, expensive, professional-grade products,” McCabe said of their offering. “Our mission is to inspire amateur and small-scale maple syrup production by giving individuals access to the tools they need to make syrup right in their own backyards,” and investing through Milk Money will help them accomplish that. Milk Money was launched by Janice Shade and Louisa Schibli in February 2016, after small-business regulatory changes were made in 2014 that allowed all Vermonters — not just “accredited investors” with an annual income of $200,000 or net worth of $1 million excluding their home — to invest locally. Money that is invested in local business using the Milk Money platform is held in the business’ account at Vermont State Employees Credit Union until 25 percent of the fundraising goal is reached, at which time funds can be transferred to the business. “We know that Vermonters care about their communities and are excited to be a part of the amazing growth that local entrepreneurs have experienced in Vermont, and Milk Money makes that possible,” said Shade. “It’s a win-win proposition, because while local businesses can really thrive here, it is difficult to find investors through traditional means,” Schibli noted. 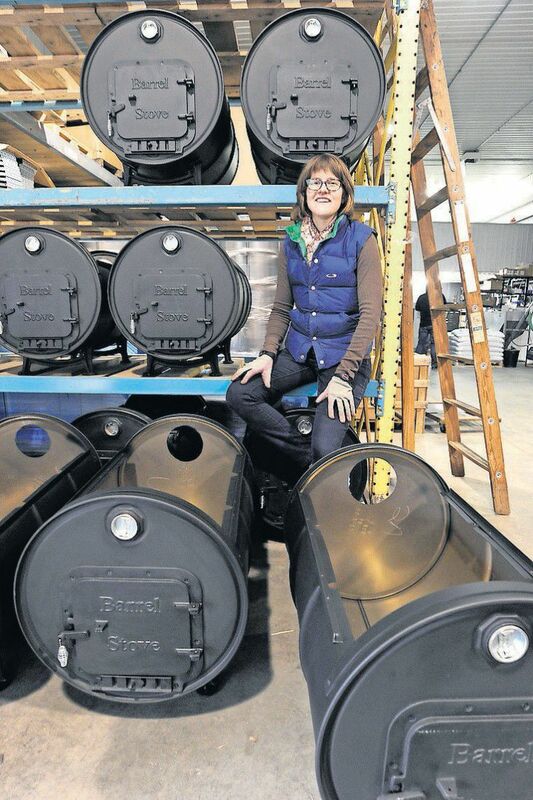 “A small business that needs money to grow doesn’t necessarily appeal to larger investors.” In the case of Vermont Evaporator Company, it’s also a win for anyone looking to produce their own gold — liquid gold, that is: maple syrup. To check out or purchase the Sapling, visit http://www.vtevap.com/. To learn more about how to invest or to become a Milk Money entrepreneur, visit www.milkmoneyvt.com. There, you can also find out more about other local entrepreneurs that are registered with Milk Money, including Burlington Herb Clinic, Green Mountain Organic Creamery, Kingdom Fiber, and Vermont Hay Company.